The Party of democratic action (SDA), the strongest Bosniak party, warned the authorities of the Republika Srpska to be "aware of the consequences" of their announcement of forming a reserve force of the entity police and they called on them to suspend that process. As stated in the SDA statement, the introduction of a reserve force would violate the current balance in the number of police officers and negatively affect the overall security image in Bosnia and Herzegovina. 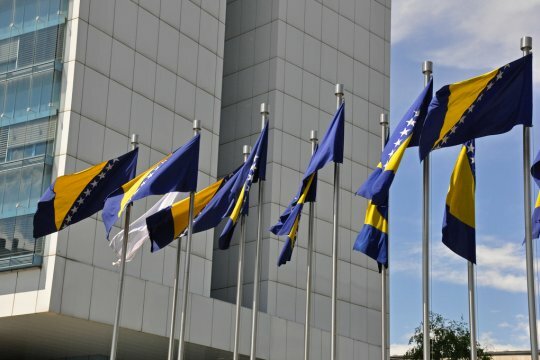 The party stated that Serbs must be aware that, if Republika Srpska authorities insist on introducing a reserve police force, it will provoke a decisive and concrete response in the Federation of Bosnia and Herzegovina and its cantons, in the form of the introduction of reserve units and the acquisition of new police equipment. "In doing so, they must take into account that the Federation has much higher financial and other capacities when it comes to the possible procurement of additional equipment and engagement of people for police forces. That's why it's best not to move into such a process at all. We urge the authorities of the Republika Srpska not to take any steps in that direction, because the incitement of any instability is not in the interest of any people and citizens in Bosnia and Herzegovina, but also in the region, " the SDA said in a statement. 874: 30 seconds to mars. Tensions in Bosnia and Herzegovina12 April 2019: Tensions in Bosnia and Herzegovina! лучшие комедии. Tensions in Bosnia and Herzegovina.